A new study reveals the more specialized an athlete, the greater the risk of injury. 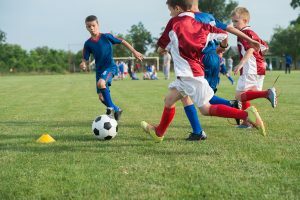 A study of 1190 young athletes, aged 7 to 18 years old, compared training patterns of injured athletes at sports medicine clinics versus uninjured athletes during a sports preparticipation exam. It reveals those athletes who met the definition of a highly specialized athlete had 2.25 greater odds of having sustained a serious overuse injury than an unspecialized young athlete, even when accounting for hours per week of sports exposure and age. Do running shoes affect your chance of suffering an injury?